The Bearpaw Nightfire Nock will live up to it’s name! After loosing an arrow fitted with a Nightfire Nock it really shows what it can do! 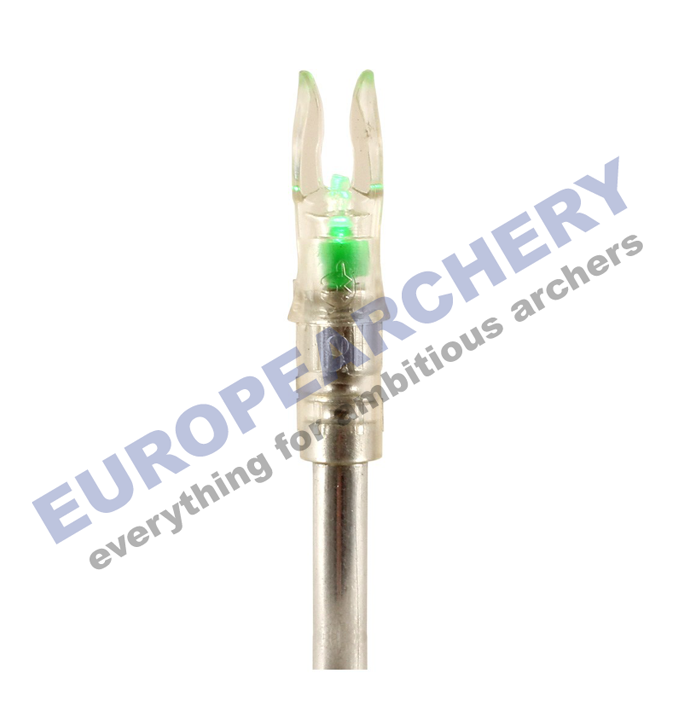 Powerful, bright luminosity shows the arrow flight and transforms it into a light tracer! The Nightfire Nock is an important companion for bowhunting. 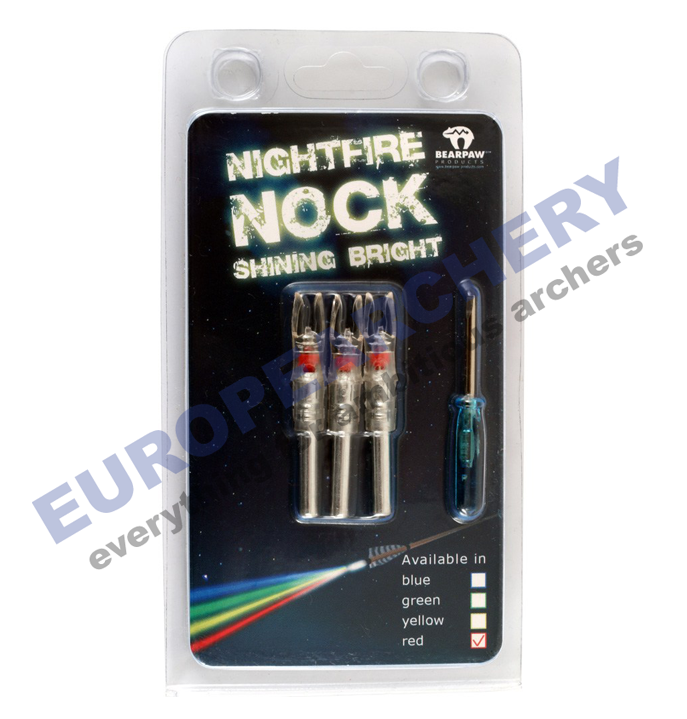 When shooting during dusk or at night our Nightfire Nock should be a standard part of your kit! Inside the Nightfire Nock there is a micro switch which activates when the arrow is released. The nock is later deactivated by means of an arrow tip or the included metal pin. There is a small opening on the side of the nock for this purpose.